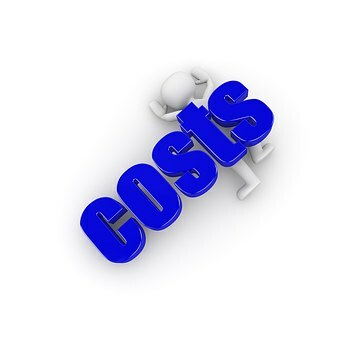 The Denton principles were applied by the Administrative Court in Haigh v Westminster Magistrates Court & Or  EWHC 3197 (Admin) when striking out an application for wasted costs. The first and second interested parties in judicial review proceedings indicated that they wished to make an application for wasted costs. At a preliminary hearing the court stated that permission to make the application was granted, and gave directions. The applicants for wasted costs did not comply with those directions. They required relief from sanctions to continue with the application. The court refused to give relief. It is also important to note that the court gave permission to apply for wasted costs only in relation to leading counsel’s brief fee. At the application stage it was stated that this was £35,000. At the time the application for relief was heard (more accurately considered, the parties agreed that the issue should be decided without a hearing) it was clear that the brief fee was £10,000. This, the Court stated, was an important factor in consideration of all the circumstances of the case. The wasted costs application was no longer proportional. ‘(2) By 4.0pm on 23rd August 2017 [1 & 2IP] shall file and serve evidence in relation to the costs of Justin Fenwick for the hearing on 12th October 2016. (5) By 4.0pm on 13th October 2017 the 1 & 2IP shall file and serve their outline submission for the stage 2 hearing together with an index for the proposed hearing bundle. (6) By 4.0pm on 20th October 2017 the parties shall agree and lodge a hearing bundle. (7) By 4.0pm on 27th October 2017 the 2nd Respondent [Mr Jones] shall file and serve his outline submission for the stage 2 hearing. 1&2 IP evidence in relation to the costs of Mr Fenwick by 1st September 2017. 1&2 IP outline submission for the stage 2 hearing and index for proposed hearing bundle by 20th October 2017. Parties to lodge a hearing bundle by 27th October 2017. Mr Jones to file and serve his outline submission for stage 2 by 3rd November 2017. We must now consider the two applications before us. An extension of time to serve their outline submission and a proposed index from 20th October to 3rd November 2017. An extension of time for lodging the hearing bundle from 27th October to 10th November 2017. An extension of time for Mr Jones to file and serve his outline submission from 3rd November to 17th November 2017. Mr Jones’s application was issued on 6th November 2017. He seeks an order that the application for wasted costs should be struck out as an abuse of process because the 1&2 IP failed to file and serve their outline submission together with a proposed index by 20th October, that being the second time that the 1&2 IP had failed to comply with the court’s timetable. In the alternative, Mr Jones sought further time to serve his outline submission for stage 2 – 14 days after service of the outline submission of the 1&2 IP’s outline. The Court notified the parties that it wished to have written submissions regarding both applications. Those have been received. Both applications asked the court to determine the matters without a hearing. Neither party’s written submissions requested a hearing. We agree that a hearing is not necessary and we have therefore reached our decisions on the papers. ‘1. The 1&2 IP’s leading counsel (Mr Ramsden QC) has been dealing with considerable work pressure, as has the solicitor with conduct of the matter (Mr. Dougans). They have simply been unable to complete the outline submissions by the date set out in the order. 2. In the circumstances the 1&2 IP did not consider it proportionate to instruct a different Leading Counsel, because of the sum at stake and the broad knowledge which Mr Ramsden QC has of this application in particular and the Haigh litigation in general. Mr Jones’s solicitor says that the 1&2 IP were in breach of the earlier obligation to file and serve by 23rd August 2017 their evidence in relation to the costs of Mr Fenwick for the hearing on 12th October 2016. This evidence was not provided until 1st September 2017. They applied retrospectively on 26th September 2017 for the time to be enlarged. It was this application which led to Ms Bassett’s order of 2nd October 2017. The 1&2 IP failed again to comply with the Court’s direction to file and serve their outline submission for the Stage 2 hearing and proposed index by 20th October. Mr Jones’s solicitor says she wrote to the Court on 24th October drawing attention to this default. The 1&2 IPs’ solicitor had not responded to correspondence from Mr Jones’s solicitor. The Court’s order of 19th July 2017 as varied on 2nd October 2017 did not specify any sanction for non-compliance, but on a retrospective application for an extension of time, the same principles are applied – see Altomart Ltd v Salford Estates (No.2)  EWCA Civ 1408;  1 WLR 1825. (1) Seriousness and significance: In this case the 1&2 IP submit that the breach for which they sought a retrospective extension (the time to lodge their outline submission and draft index for the hearing bundle for Stage 2) was neither serious nor significant. The time for providing the missing documents had not been the subject of an ‘unless’ order. The extension was only some 14 days. The requested extension meant that other procedural steps had also to be adjusted. However, no hearing date had yet been set for Stage 2 and the aim of having a hearing before the end of the Michaelmas Term was still achievable. It must not be forgotten that these are satellite proceedings, adjectival to the substantive judicial review application. In all the circumstances, a delay of two weeks is, in our view, a serious or significant default. Mr Ramsden on behalf of the 1&2 IP again emphasises that no date has yet been set for the Stage 2 hearing. It cannot be said that the extension which his clients seek would prejudice that hearing. He argues that the proportionate and just response is for the 1&2 IP to be granted the extension which they seek. Mr Stewart QC on behalf of Mr Jones argues the contrary. He submits that there has been a history of procedural defaults by the 1&2 IP. Notably, they did not comply with the Court’s order to file and serve evidence of the costs of instructing Mr Fenwick QC within the time required by the Court on 19th July 2017. That had to be done by 23rd August 2017. It was not. Mr Jones’s solicitors chased a number of times. The evidence in relation to Mr Fenwick’s brief fee was finally provided after 5.0pm on 31st August 2017. Furthermore, the evidence then produced showed that Mr Fenwick’s brief fee had been £10,000. This contrasted with the figure of £35,000 given to the Court at the hearing on 19th July 2017. That variation is material in deciding whether the wasted costs proceedings are still proportionate. Mr Stewart submits that they are not and this is another reason why the application by the 1&2 IP should be refused and, indeed, why Mr Jones’s application for the wasted costs proceedings to be struck out should be granted. In our view, Mr Stewart is right. As we have already said, wasted costs proceedings are ancillary to the substantive proceedings (in this case the substantive application for judicial review). For the reasons already given, there is an onus on the applicant for a wasted costs order in particular to proceed with due expedition. The applicants in the present matter have not done that. We also consider it significant that the amount in issue in the wasted costs application now appears to be £10,000. As part of the Stage 1 proceedings, the court has to form a judgment as to whether the wasted costs proceedings are justified notwithstanding the likely costs involved. We took the view on 19th July 2017 that this test was satisfied when we were told that the sum involved was in the region of £35,000. We have seen correspondence between the parties concerning whether the court was misled by that figure. We are content to accept the explanation of Mr Dougans that £35,000 was meant to include not only Mr Fenwick’s brief fee but also additional costs incurred by Bryan Cave, the solicitors for the 1&2 IP. Be all that as it may, had we known that the amount in issue was £10,000, we would have taken a different view as to the proportionality of the wasted costs proceedings in all the circumstances of this litigation. While we have not been provided with any figures, we do not think that it is an extravagant assumption to proceed on the basis that the costs which each side has incurred will have substantially exceeded £10,000. The time estimate for the Stage 2 hearing is a half day which will involve yet further costs. Simply put, the exercise can now be seen to be disproportionate. To recap, the 1&2 IPs’ failure was serious and significant. The reason advanced for the failure is unsatisfactory. By themselves, these two factors would have inclined us towards refusing the 1&2 IPs an extension of time. When regard is had cumulatively, to these two factors and to the true amount at stake, now reduced to £10,000, the scales tip decisively against an extension of time. In all the circumstances and in a nutshell, these proceedings are now disproportionate and plainly so.